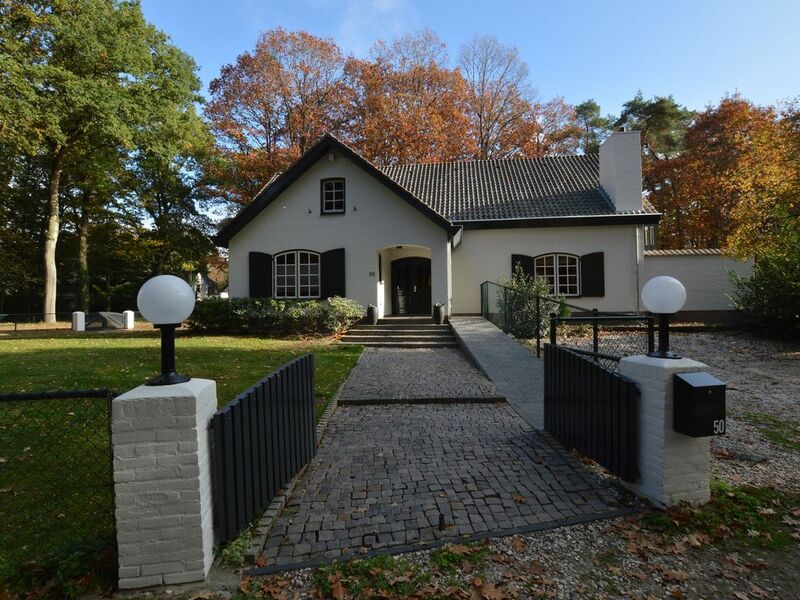 This magnificent villa enjoys a fantastic setting in the woods near the pleasant town of Arcen. The nicely furnished, luxury villa is equipped with all modern comforts. Would you like to relax in the Jacuzzi or the infrared sauna, sit around the outdoor fireplace on the terrace, or enjoy a nice meal in the cosy living room? Children can play all they want in the playing field with trampoline, table tennis table and kids' football goals, or in the games room in the basement with darts board, billiards table and jukebox. The living room features a long dining table with space for 18 guests. There's also a comfortable lounge area with large open fireplace. The open kitchen is equipped with all modern appliances, including 2 dishwashers, a 6-burner gas hob and a large oven. The modern bedrooms are furnished with high-quality box-spring beds, made with single bedding. Most of the bedrooms have an en-suite bathroom. There's one bedroom on the ground floor that's specifically designed for people with reduced mobility. It has an en-suite bathroom with a sliding door, which features grab bars next to the toilet and in the shower, and there's also a stool to sit on in the shower. If you feel you want to get away from the luxury of this house for a while, the wooded surroundings are great for walking or cycling, and there are plenty of interesting sights to visit nearby, such as the Arcen Castle Gardens and the Hertog Jan brewery.